One Caribbean Media Limited is extremely proud to be the sponsor of the OCM Bocas Prize for Caribbean Literature at the Annual Bocas Literary Festival. Based in Trinidad and Tobago, the Bocas LitFest, is a celebration of books, writing, and writers, with a Caribbean focus and international scope. 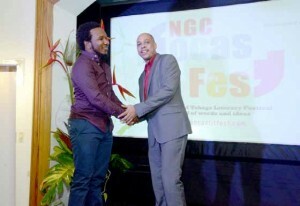 Launched in April 2011, Bocas is an exciting addition to the Caribbean’s literary calendar. The centrepiece of the festival is the award ceremony for the OCM Bocas Prize for Caribbean Literature, where the winning writer receives a cash prize of US$10,000. The Bocas LitFest is held annually during the last weekend of April. © Copyright 2014 One Caribbean Media Limited. All rights reserved.